This entry was posted on Friday, September 5th, 2014 at 9:54 am and is filed under 2012 Election, 2014 Election, 2016 Election, Politics. You can leave a response, or trackback from your own site. This entry was posted on Friday, August 30th, 2013 at 9:57 am and is filed under 2008 Election, 2010 Election, 2012 Election, 2014 Election, Politics. You can leave a response, or trackback from your own site. I admit that I’m suffering from a bit of Schadenfreude Listen or, for my fellow linguists out there: epicaricacy or delectatio morosa. I just can’t help sniggering at the Leftists who voted for Obama in 2012, knowing that his platform was based upon reaving even more wealth from the productive, being horrified and chagrined when they see their now reduced paychecks or read the new tax codes. The Liberals’ and Progressives’ pain is self-induced and it brings me great joy. They deserve it and a great deal more misery for their beliefs, choices, and actions. The only two thing that I wish and that would give me greater joy is if I could increase their pain while exempting Americans from it. Sadly, while the Liberals and Progressives deserve the pain that they’re not suffering, American don’t but are subject to it as well. This entry was posted on Monday, February 11th, 2013 at 11:59 am and is filed under 2012 Election, Humor, Politics, Society. You can leave a response, or trackback from your own site. 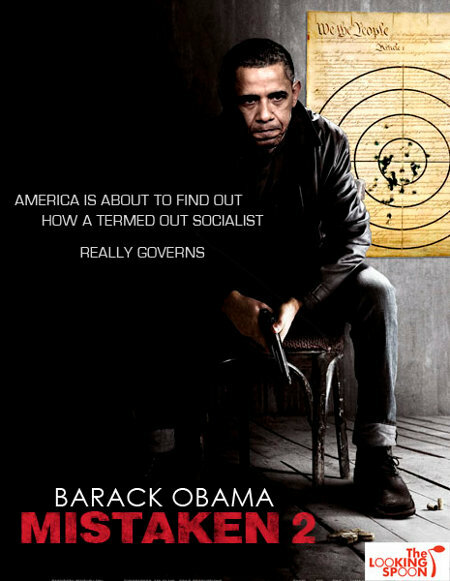 Today is the day of Obama 2nd inauguration and, as such, is the official opening day of the boy’s latest theatrical release. The only thing is that nobody is sure, as of yet, what genre this (im)morality play will be in: Black Comedy, Political Thriller, Zombie Apocalypse, or a gritty, streetwise remake of Dr. Jeckel and Mr. Hyde with Obama in the starring role(s)? Personally, I’m sort of hoping for a twisted remake – yes, another one! – of Red Dawn. The image of a young, White guy in a school jacket holding up Obama’s severed head and yelling, “Wolverines!” give me a warm feeling in my soul. 😉 Add three more Americans carrying the heads of the rest of the Obamas and I’d say the work deserved an Oscar! 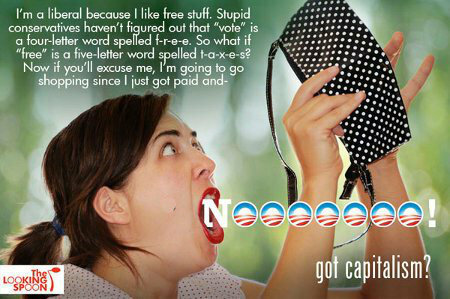 This entry was posted on Monday, January 21st, 2013 at 12:05 pm and is filed under 2012 Election, Humor, Movies, Politics. You can leave a response, or trackback from your own site. 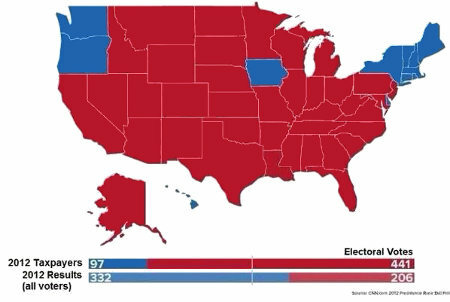 A not so fun fact of the recent 2012 Presidential Election is that Obama lost in every state that requires a photo ID to be produced before voting but narrowly “won” in several key states that did not require such ID. 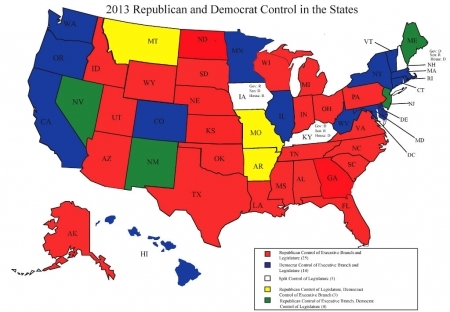 Conversely, Obama lost in every state that requires a photo ID to be produced before voting. That, combined with the plethora of other voting irregularities in the 2012 elections, does not look very good. Minnesota, Iowa, Wisconsin, Nevada, Colorado, New Mexico, and Pennsylvania total 66 electoral votes between them,don’t require voters to identify themselves, and have large population of unfranchised residents. “Interestingly” the 66 66 electoral votes these states would, if added to Romney�s total of 205 electoral votes, would have given him 271 electoral votes, enough votes to win even without Ohio or Florida Romney, two other states without voter ID requirements and which had serious discrepancies in their voting results. The above are the facts of the matter. That is all that they are, facts. What conclusions one draws and what actions one takes based upon those conclusions is a personal moral choice. This entry was posted on Friday, January 4th, 2013 at 9:11 am and is filed under 2012 Election. You can leave a response, or trackback from your own site.